Of more than 4000 genera and 46,700 spider species, we have made a selection of 10 most venomous spiders in the world. Many spiders are not venomous, but those who are are nasty. Spider venoms consist of many different toxins, and it is assumed that over 10 million spider toxins may exist, but around 1480 of them have been researched. Some spiders, like black widows for example, have venoms that are as much as 15 times stronger than those of rattlesnakes! 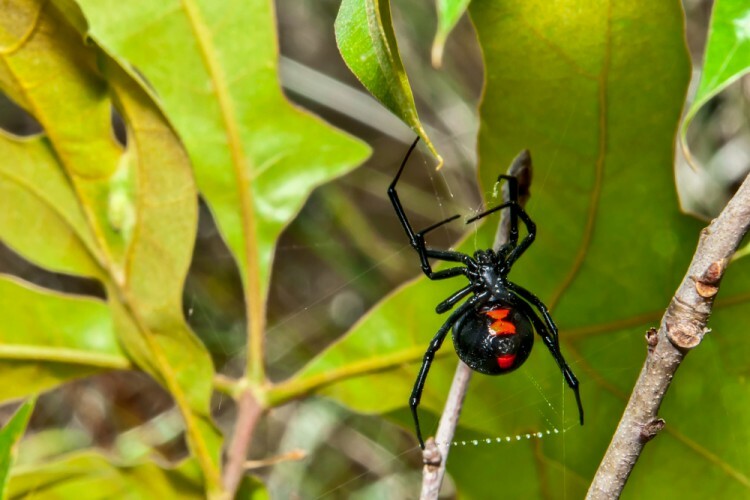 Apart from black widows and rattlesnakes who share the same habitat, you might also be interested which are the States with the Most Venomous Snakes in America. Being feared and hated, these creatures are actually very helpful, because they keep control over insects they feed on. Science has also benefited from researching spider venoms and silk. Did you also know that spider silk is the strongest and most elastic natural fiber? That is why scientists try to make synthesized silk for making fibers that could be used for parachutes and bullet-proof vests. Nevertheless, many people choose these exotic animals as pets, knowing that they are potentially highly dangerous. For the ranking of venom strength of spiders on our list, we have used LD50 values, just like for the Most Venomous Snakes in the World. But this time, finding LD50 values for spiders was a bit more difficult. One reason is that there is no consistent list of summarized researches on this subject, rather there is a few analysis of spider venoms concerning certain genera or species. Some of the information and data we have gotten from scientific articles on different species like Sicarius and Loxosceles, Missulena, but also from other places like Principles and Practice of Toxicology in Public Health, Unbridled Optimist, La Tela Nera and Brown Widow Spiders. Some of the data was somewhat disagreeing, but we have tried to make the best out of it. Let’s just quickly go through what the LD50 value is and why we’ve used it here for venom ranking. LD50 stands for a lethal dose of venom that kills 50% of sample – mice in this case. And the criteria is – the lower LD50 value is, the stronger the venom is. That means that the most venomous spiders are not also the most deadly ones, and not all would inject enough venom when biting nor are all harmful to humans and many other animals. But nevertheless, this value is a good indicator for determining the most venomous spiders in the world.